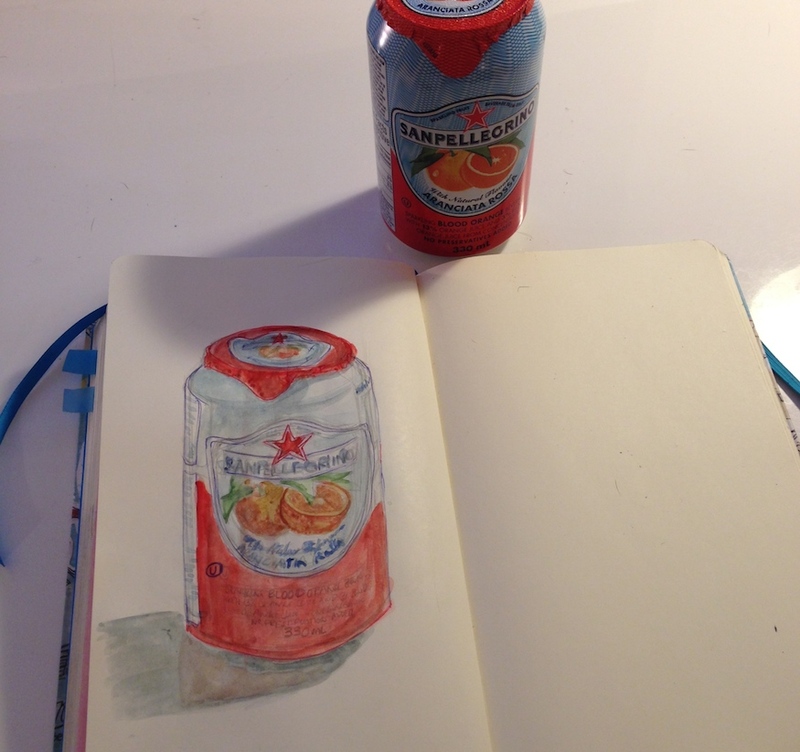 Today's sketching challenge was to draw a beverage. I don't drink a lot of soft drinks but from time to time I get San Pellegrino. I think the first time I tried it was in Ibiza a couple years ago. Vodka lemón was a popular drink in the bars and they were using this brand. I like it because the ingredients are simple and mostly natural. No aspartame, no glucose-fructose, no artificial colours or other weird stuff.